CPCS facilitates conflict transformation trainings and workshops in a variety of format and with a range of stakeholders: as one-off trainings and modular courses, with members of governments, non-state armed groups, civil society organisations, democracy leaders and media personnel. Each course includes an introduction to conflict transformation theory and analysis, with the rest of the training tailored to suit participants’ respective contexts and roles in their peace processes. 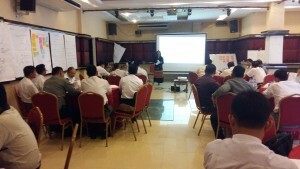 For example, trainings for government representatives focuses on challenges faced by civil servants and how to gain tactical learning from colleagues across the state, while the curriculum for the non-state armed groups includes discussions about the transition from a military to a civilian life. Similarly, sessions with media focus on how to apply conflict transformation skills to provide the public with a deeper understanding of the conflict. CPCS does not instruct participants on how to address specific issues but rather provides space to reflect on how conflict transformation approaches could be applied to their own context. Participants learn to apply a conflict transformation lens to their roles, shifting their perspectives of “the others” (particularly the ethnic minority groups in each area), and allowing them to interact with their constituents and communities in ways that will build trust in the peace process. 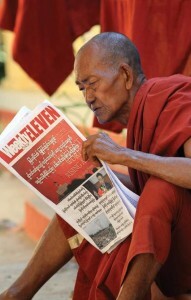 Our work with Myanmar journalists aims to increase their capacity for ethical, conflict-sensitive reporting and deepen their understanding of the country’s conflict dynamics, in particular the ethnic conflict and inter-communal violence. 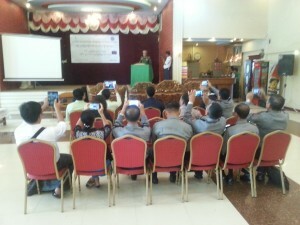 The workshops, trainings and exposure visits also aim to improve the media’s understanding of Myanmar’s peace process through a conflict transformation lens, resulting in a shift in how the peace process and conflict issues are reported on in Myanmar. Participants gain an understanding of conflict transformation, however the focus is largely tailored to the specific components of the current peace process, particularly on how to cover ceasefire agreements as well as the ethnic component of the conflicts.